Are you looking for blackjack games that are free of charge? Find out where to play your favorite game - for cash or for fun - here while improving your blackjack skills at the same time. On the internet, blackjack is one of the more popular casino card games. Just choose blackjack download option and enjoy. It started in France in the 1800s where it was simply called 21 and came to America a century later. 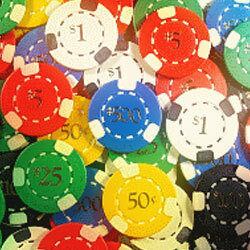 Now, it is a highly popular game in Las Vegas casinos. In the World Wide Web today, tons of online casinos provide blackjack games, most of which are completely free of charge. What is fun about playing online blackjack is the chance to talk to other players through chat. Naturally, you do not need to play or chat in multi-player rooms if you don't want to; simply opt for private tables, if you would prefer to have a private game with a dealer. Before the cards get dealt by the dealer, players need to place their bets; there are $1 chips, $5 chips; $10 chips and $50 chips available. After choosing the bet you want, you need to continue in order to play your hand. The actual round will start after every participant does the same. After the dealing starts, bets can no longer be changed - remember that. As the hand occurs, players can add bets through insurance, double-downs, and splits, though. After all of the cards get dealt, the dealer is going to ask every player what he wants to do. Choose your action accordingly. Every player needs to have a strategy. He gets two face-up cards, while the dealer gets one face-up card and one face-down card. You can ask for more cards until you choose to stand or you end up busting. If you get a Blackjack - a face card or a 10 matched with an Ace - you will instantly get 1.5 times the amount you bet. This is unless the dealer gets a Blackjack, too; then you will "push", which means you won't lose nor win your bet. After every player finishes his hand, the dealer finishes his, as well. If he has a total of 16 or less, he needs to hit for another card until he gets 17 or higher. If he goes over a total of 21 and busts, he will need to pay every player still playing.